Travel to one of the best golf destinations in Europe to play at some of the world’s most famous courses in Marbella. Rich cultural heritage, exquisite cuisine, siestas, fiestas, and flamenco – all await you in the lush landscapes of the Costa del Sol. Nestled within this Spanish region lies the luxurious area of Marbella. 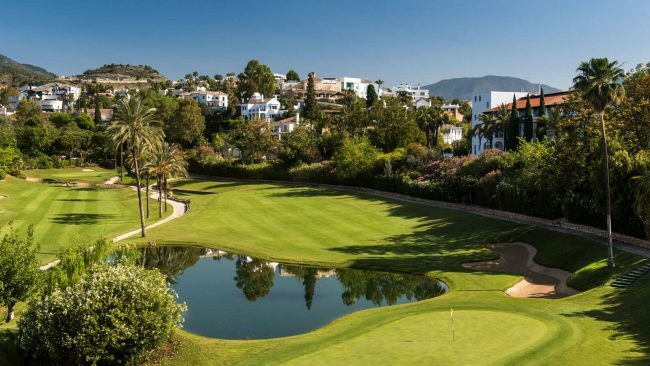 Abundant in white sand beaches, crystal blue waters and the idyllic Mediterranean climate, golf in Marbella is definitely one to add to the bucket list! 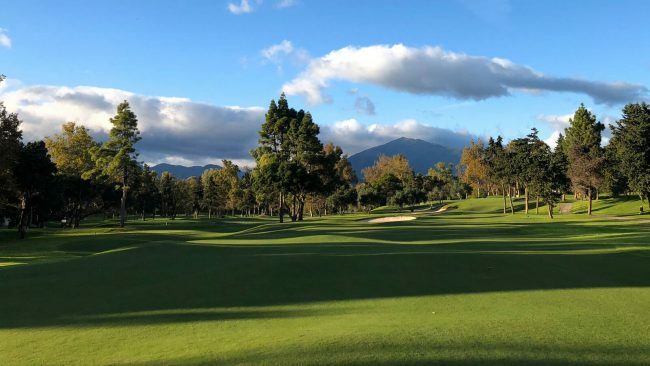 From challenging greens to sparkling sea views, explore our top recommendations to golf Marbella. Often referred to as a ‘jewel in the Sotogrande crown’, La Reserva Club truly embodies the elegance and beauty of the region. 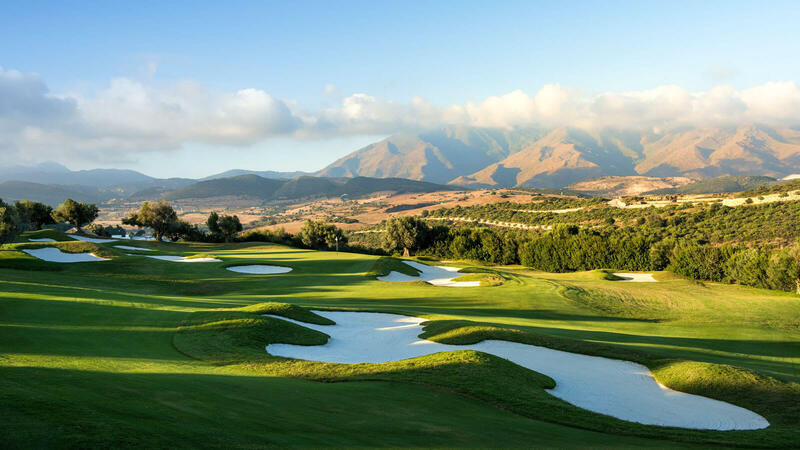 This 18 hole championship course stretches across 7400 yards and offers one of the finest golf tests in dreamy Andalucia. With its immaculate greens spread along sweeping fairways, the course represents an exciting challenge for golf lovers. 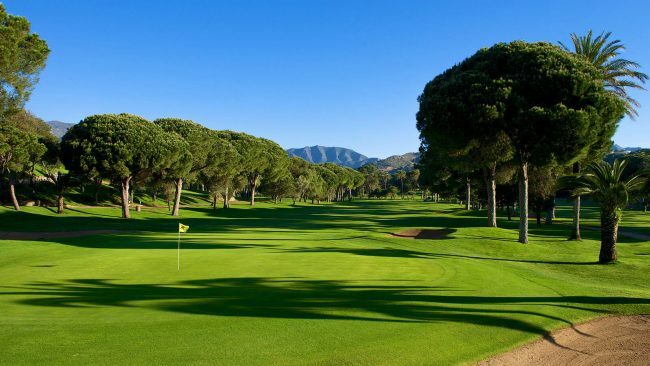 La Reserva is recommended course that just has to be played by those who plan to golf Marbella, Spain. 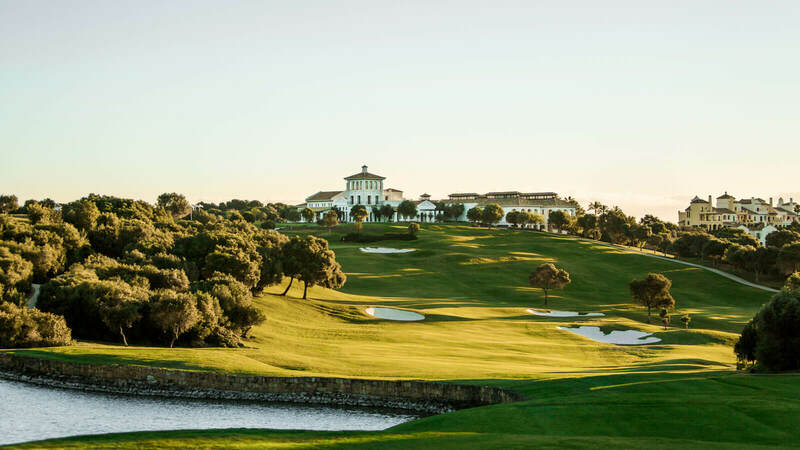 Situated within a stunning resort on the picturesque landscape of Marbella, the course at Finca Cortesin is an 18 hole championship layout. 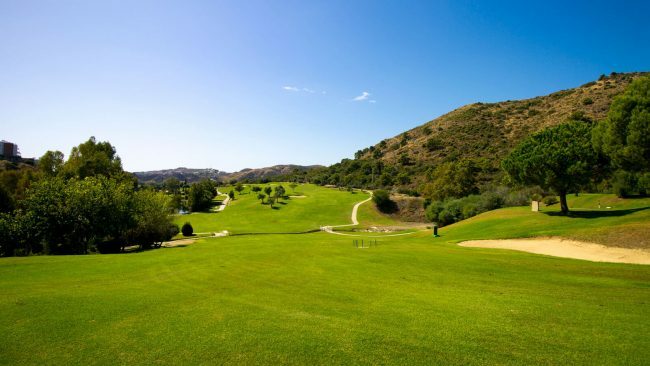 It is one of the best golf courses Costa del Sol has on offer. The attractive design of the course is the courtesy of Cabell B. Robinson. Furthermore, the design features natural Mediterranean vegetation, lush forestation, and rich flora. Originally designed by Bradford Benz in 1991, this spectacular 18 hole course was re-designed by Marc Westenborg in 2016. Exclusive to its members, La Zagaleta Golf Club is truly a Mediterranean golf paradise. In addition to this, it offers a challenging yet world-class golf experience complete with demanding bunkers. 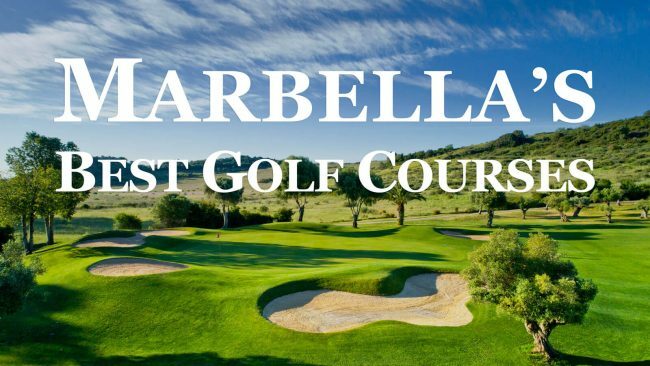 The course is nestled in a lush valley, hosting rising peaks and wooded hills, overlooking enchanting landscapes of Marbella, the Mediterranean Sea, and distant African shore. Officially opened in 1964, Real Club de Sotogrande is the first course Robert Trent Jones designed in Europe, and it should definitely be on the bucket list of those who plan to golf Marbella. The layout incorporates Trent’s design philosophy — it is subtly blended into the natural environment, highlighting wide fairways, and long tees. In fact, this fascinating par-72 course offers features enjoyable for everyone, yet challenging for advanced players. 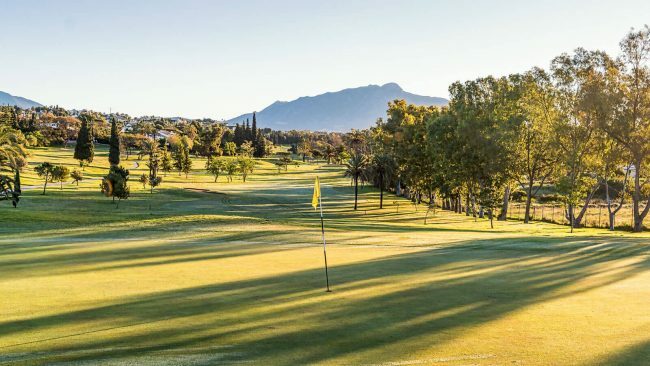 With its two 18 hole championship golf courses, Guadalmina Golf Club offers some of the most impressive facilities on the Costa del Sol golf scene. Opened in 1973, Guadalmina North is the design of Folco Nardi. It measures slightly shorter and features more water hazards when compared to Guadalmina South. The latter’s design was laid out by Javier Arana in 1959 and is nevertheless known for its more challenging layout. Design of the famous Robert Trent Jones Senior, Marbella Golf Country Club is one of Marbella’s shining golf stars – a spot that certainly should not be skipped by those conquering the golf clubs around the Costa del Sol. Set amongst rolling hills of the natural landscape, the course offers exciting downhill and uphill shots. 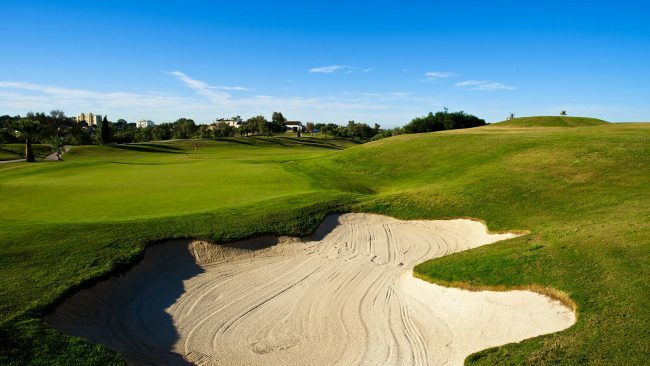 Additionally, the combination of daring bunkers and tricky water hazards promise a unique challenge. With its rich vegetation, stunning sea views, and excellent facilities, El Chaparral Golf Club is set to charm its visitors. 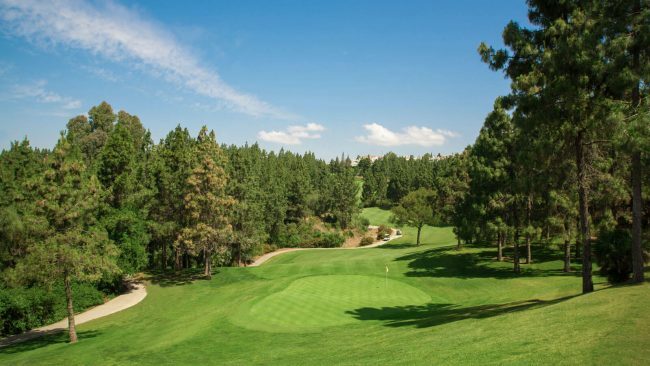 Each one of the 18 holes at El Chaparral offers views of different, yet captivating natural scenery. In addition to this, the course is nestled in close proximity to Fuengirola, a popular location on the dreamy Costa del Sol. Stretching across 6343 yards, the course is the only one in the region with 6 par 5’s, 6 par 4’s, and 6 par 3’s. 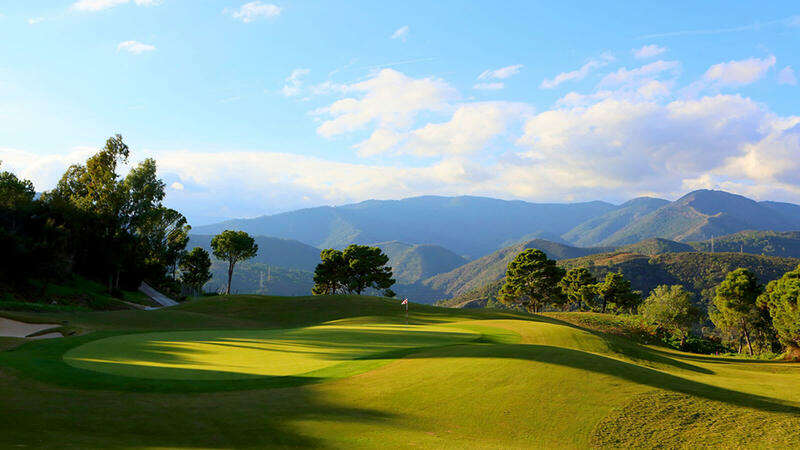 The course at Los Arqueros Golf & Country Club is a design masterpiece by the legendary Severiano Ballesteros. This stunning 18 hole layout was opened in 1991 and represents a true golf gem of the region. The philosophy behind the design was to achieve harmony with the course’s natural environment, which resulted in picturesque scenery that demands accurate play and curated precision. Designed by Craig Cook and Bradley Smith in 2005, La Resina Golf & Country Club is a particularly charming layout where elements of nature are tenuously preserved throughout the property. 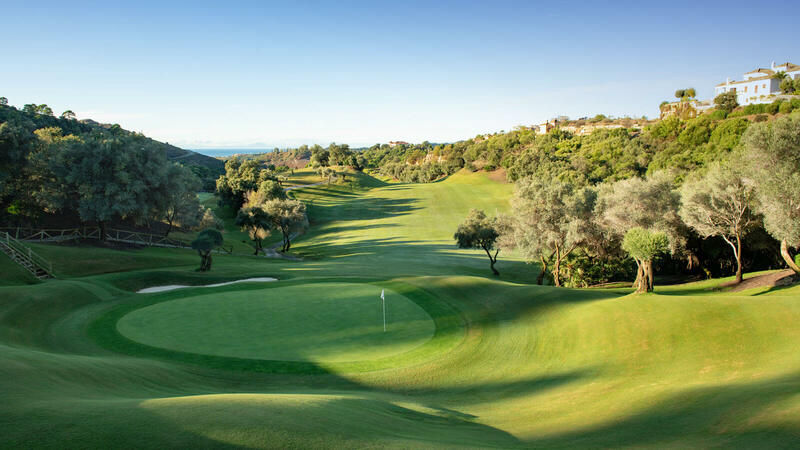 Ancient olive trees, romantic lakes, and beautiful tropical gardens form an atmosphere of elegance and serenity, promising an unforgettable round of golf. Nestled in the very heart of Golf Valley, La Quinta Golf & Country Club was laid out by one of Spain’s golf ambassadors, Manuel Piñero. This 27 hole layout is subtly engraved into the natural topography of the Mediterranean coast, encircled with mountains, and overlooking the Sea. Furthermore, with the variety of world-class amenities, the club offers a stunning golf retreat for all players. Situated within the beautiful El Paraiso Valley against the backdrop of La Concha Mountain, El Paraiso Golf Club has one of the best championship layouts on the coast of Andalucia. 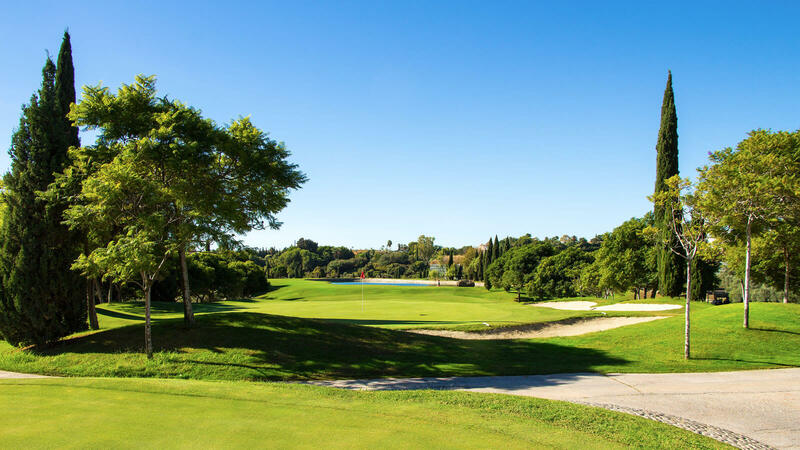 Featuring lakes, lush greens, and an abundance of Mediterranean flora, the course is a golfing paradise that will leave golfers feeling completely relaxed. 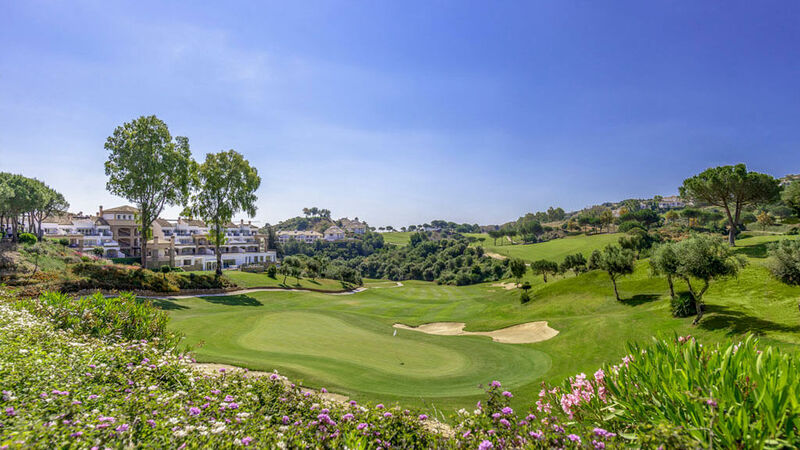 La Cala Golf Resort is a stunning facility situated within the idyllic location of Andalucia’s La Cala Resort. The resort is home to three superb championship courses. Campo America is a 6572-yard course boasting views of the Mediterranean Sea and the dreamy town of Ojén. Rolling hills, lush fairways, and subtly spread water hazards make La Cala Golf Resort one of the best in Marbella. Villa Padierna Golf Club is a breathtaking golf complex comprising of three fabulous courses. With Andalucia’s timeless beauty incorporated into the design of the courses, Villa Padierna is known as a magical golf oasis. The Alferini course is a spectacular 18 hole layout that spreads elegantly across 7263 yards of lush fairways. 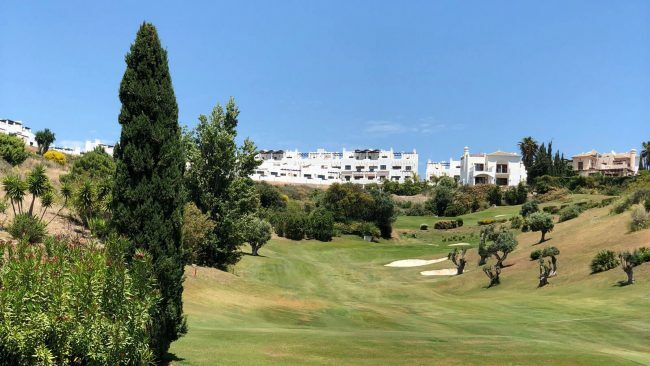 Atalaya Golf Club features two spectacular golf courses, offering golfers one of the best golf experiences in Andalucia, regardless of skill level. The Old course is the design of Bernard von Limburger and boasts stunning views of the La Concha Mountains. Additionally, the club offers one of the largest driving ranges in the area and also provides lessons in a variety of languages. 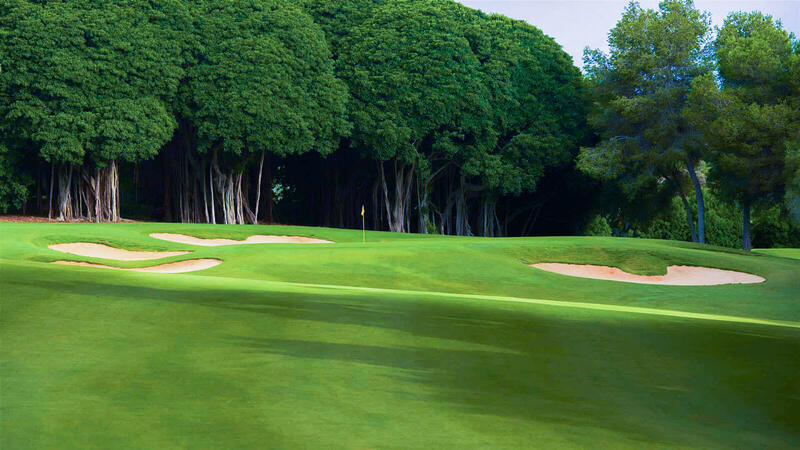 Established in 1965, Rio Real Golf Course is a layout designed by the world-renowned Javier Arana. 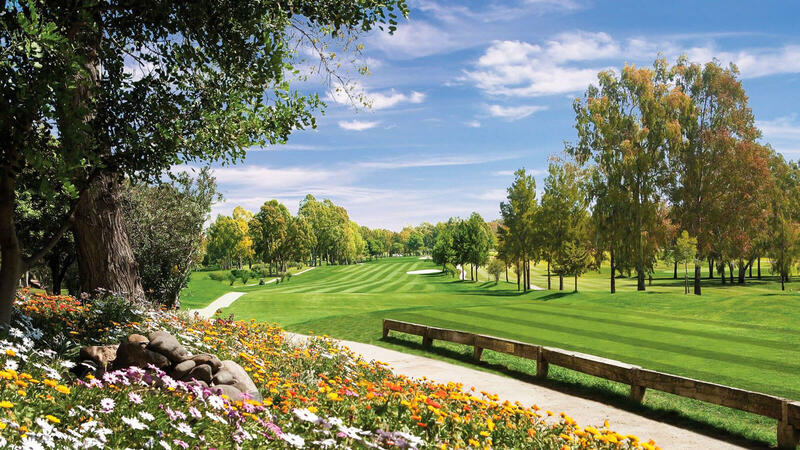 The idyllic course is considered by the Royal Spanish Golf Federation as one of the most prestigious golf experiences in Marbella and one of the best in Spain. Just a short distance away from the city center, Rio Real is an incredible 18 hole course that runs alongside the Rio Real River. Designed by the renowned Dave Thomas, Marbella Club Golf Resort is a world-class 18 hole course that exceeds the highest of expectations. Here, you’ll find carefully contoured fairways with strategically placed bunkers to test your game, alongside the beautiful views of waterfalls and lakes. Enjoy this Marbella Golf Course in the heart of the Costa del Sol and take in the views of the surrounding mountains complementing the Mediterranean Sea.